Increases food purchasing power of TANF (PA) and non-TANF (NPA) households. 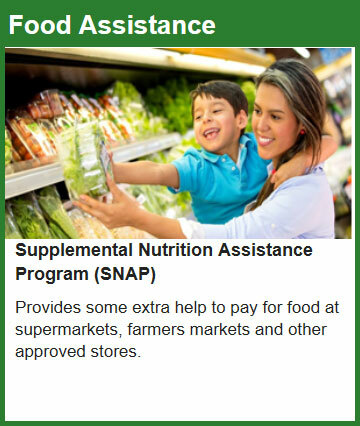 This service provides assistance with food by issuing food stamps to eligible, low-income individuals and families. These stamps can be used as cash to buy food at food stores. The amount of food stamps issued depends on the income and circumstances of the family. Applications for food stamps should now be completed online at www.NJhelps.org. If you are unable to do so, please call. Click here for library locations and hours.